I'm going to be real honest here. I'm taking a pretty serious staycation. It's real. It's deep. It's oh. so. lovely. But probably the best part of this staycation is that, I have zero (count them), zero plans. Someone even said to me, "You're going to be so bored, you'll beg to go back to work." However, you know what the "no plan-plan" means? I am having all kinds of fun in the kitchen. And, it's Fall. So, I'm having all kinds of Fall-fun in the kitchen. And, if you have been even a tiny bit conscious during the Fall in the last few years or have been in any Starbucks ever, you know that people love Salted Caramel...well, anything. Especially during Fall. 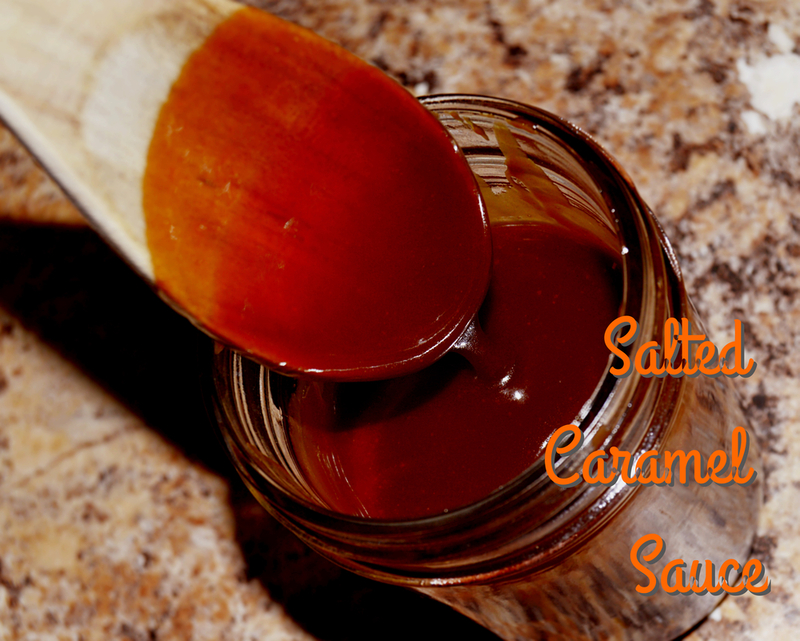 You basically put some salt and caramel on anything and bam. It's magical and delicious and practically all of your insides jump for joy. Don't lie. It's not a good look for you. So, when you're done admiring my B.A. photo editing skills, warm the granulated sugar over medium-high heat. Stir often until the sugar is completely melted. As you can see in the top picture, it will start to clump. Don't get nervous! When it starts to look like the second picture, toss in the butter. It is going to bubble up because it's hot but again, Take heart! Just stir for about a minute. After that, take the pan off the heat and stir in the heavy cream. Once it is thoroughly mixed and stops bubbling so hard, mix in the salt and let it thoroughly cool. Once it has cooled enough, seal it in an air-tight container for up to 2 weeks.